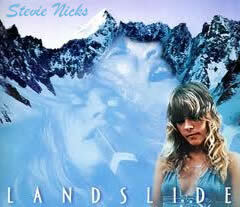 Landslide was written by Stevie Nicks from the band Fleetwood Mac. The song was recorded in 1975 and featured on the album Fleetwood Mac. 2. Oh mir-ror in the sky___ What is love? 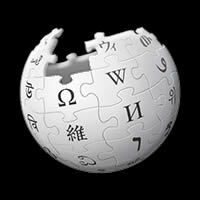 Can the child with-in my heart___ Rise a-bove? Can I sail thru' the chan-ging  o-cean  tides? Can I han-dle the sea-sons of my life... ? Level Of Ease: Fairly easy once you get used to all the chords with bass notes. They all work well if you are finger-picking. For beginners that are not used to finger-picking, you can just strum the straight chord, e.g., instead of G/B, simply strum a G chord. The same applies to D7/F# - just strum a D7 chord. Replace D5/A with a D chord. G/B means you play a G chord leading with a B note instead of the usual G bass note. I have used the most common variation of this chord... x20033. You can experiment with your finger positioning... you may prefer to use fingers 2, 3, and 4 instead od 1, 3, and 4 - you could even try fingers 2 and 4 where the 2nd finger plays the B bass-note while the 4th finger is used to play strings 1 & 2 (mini-barre). The easiest way to play D7/F# is displayed on the chart, written as 200212... play a normal D7 with fingers 1, 3, & 4 (instead of 1, 2, & 3) and play the F# bass note with your second finger - string 6 fret 2. Another way of playing D7/F# is to play a normal D7 chord using fingers 1, 2 and 3 and if you have a good hand-span or narrow guitar neck, you can use your thumb to play the F# bass note on the 6th string. D5/A is a 5 chord leading with an A bass note...x0023x. A5 chord is a 2-note chord consisting of the 1st and 5th notes of the major scale which in this case are the notes D and A... because the chord is D5 we take notes from the D Major Scale which reads D-E-F#-G-A-B-C# with the 1st & 5th notes - D and A. Instead of leading with the usual D note, we lead with the A or 5th note as the chord suggests (D5/A)...x0023x equates to the notes x-A-D-A-D-x. 5 chords are also known as power chords. The hyphen between 2 chords means they share equal timing, e.g., | Am - G/B | means 2 beats on Am and 2 beats on G/B. Where you see | Am7 / / G/B | - this means 3 beats on Am7 and 1 beat on G/B. The repeat sign (/) is used to repeat the previous chord within a bar... more help if you need it. 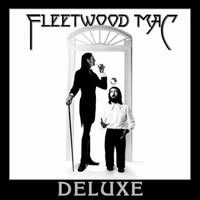 FLEETWOOD MAC chords and lyrics are property and copyright of their owners. "Landslide" chords and lyrics are provided for educational purposes and personal use only.